Does anyone actually use the L bracket supplied in the RX-7 specific kit? I've tried looking for pictures of installations w/ the stock twins and wasn't able to figure that one out. I recently bought the kit used and the seller did not supply any instructions that included the proper way to orient the bracket. Through trial and error, only one configuration really allows for the hood to close properly, but it doesn't appear to be in the same configuration as installed HKS BOVs in other RX-7s. it is pretty simple what it sounds like to me is that you are pointing the elbow up. That is not the right way. First off you leave the secoundary blow off alone or stock. You should point the L elbow twards the front of the car, The blow off valve facing forward. The bracket bolts to Your Y pipe. Of course you dont touch the pressure relief valve near the firewall haha, that has nothing to do w/ my original quesiton though. I don't follow what you mean by the bracket goes onto the Y-pipe. Take a look at that picture, there should be nothing mounting to the Y-pipe except the hose connection. I just want to know if you guys are using the brackets or not. I had to use a slightly longer 1" dia. 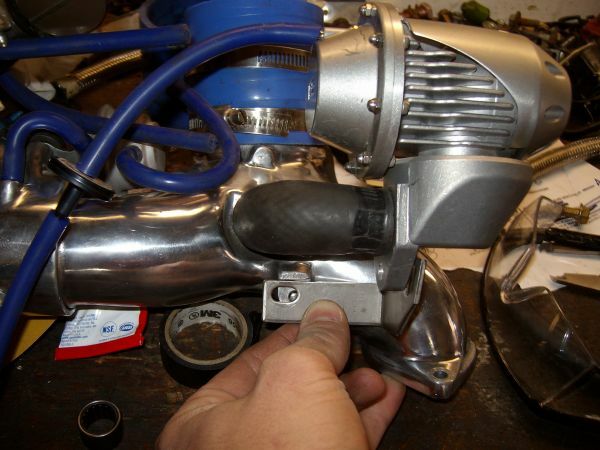 hose from the Y-pipe to the BOV in order to make the bracket work. That sounds about right... You could connect the bracket to the fender, there are lots of holes and another bracket that has solenoids on it. Do you have a closer pix of the current hookup? The stock mount, makes it mount below your secoundary intake. I will get you a pic. Wow, that is the sort of picture that I've been looking for all along. Thanks everyone for your help! I guess if anyone searches and finds this thread, the fender wall works too, but the install on the Y-pipe will be much cleaner w/ shorter hoses. Cool ... I was wondering where you mounted that thing. It's just starting to warm up here in Canada and I am about to start installing all the crap I bought over the winter. wanna make sure i get this. sorry to revive an old thread. Rear BOV stays on the car? What is the cap for that comes with this kit? sorry for the question. I too found this to be a valueable pic of the location for the bracket. The rear valve is the crv and is for the sequential system. If you're staying sequitenal then you would leave it alone. The stock bov is routed to vent to the stock airbox. The ssqv is default vent to atmosphere. The cap it comes with will go on the stock airbox to cover the port where the stock bov would vent to. Rear BOV (CRV) stays on the car. Cap is likely to cover the inlet on the stock airbox. 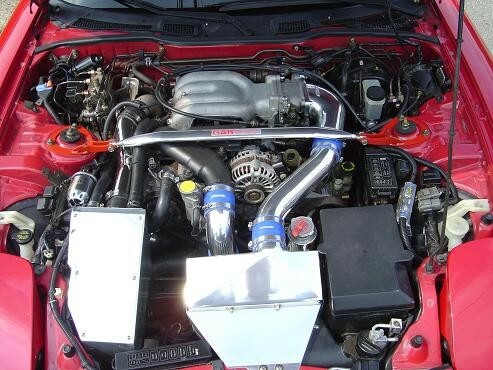 The turbos don't make any difference, but if you have the later Y-pipe the BOV connection is at a 45 relative to the frame rail where the old Y-pipe is at a 90. You just have to trim the hose slightly to have it match that angle.